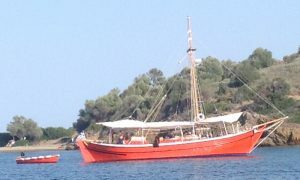 In just one week the Greek sailing scene changes dramatically. The third week of July heralds the onset of max-out-here-we-come sailors and their families, we understand completely as, many years ago that was us too. 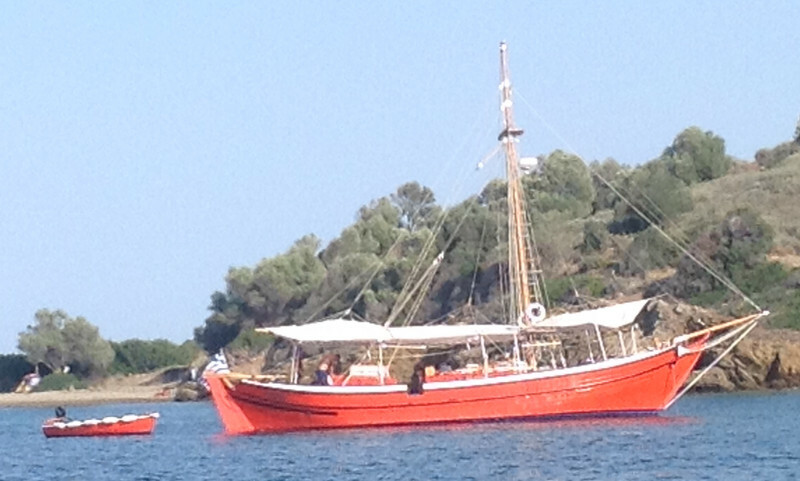 So we try to lie low, stay away from the harbour quays and find smaller bays and anchorages. It seems fair to let the taverna owners get the full benefit of bigger holiday spenders who moor alongside their frontage. This year the Western Aegean has been heaving with live-aboard yachties like us, especially since Turkey has tightened various regulations and security. Stories of skippers being arrested and boats impounded for rescuing near drowning refugees and migrants along the Eastern Med have also contributed to the influx. However we continue to have delightful daily encounters and drink deep from the pot of hope that Greece will prosper a nd her people will be blessed. 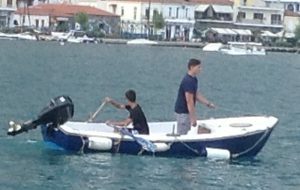 Just yesterday we motored to the quay for water and to fix the coughing outboard, a once gawky but now blossoming Odysseus ( that’s his real name) shyly took our lines and was at last brave enough to talk to us. 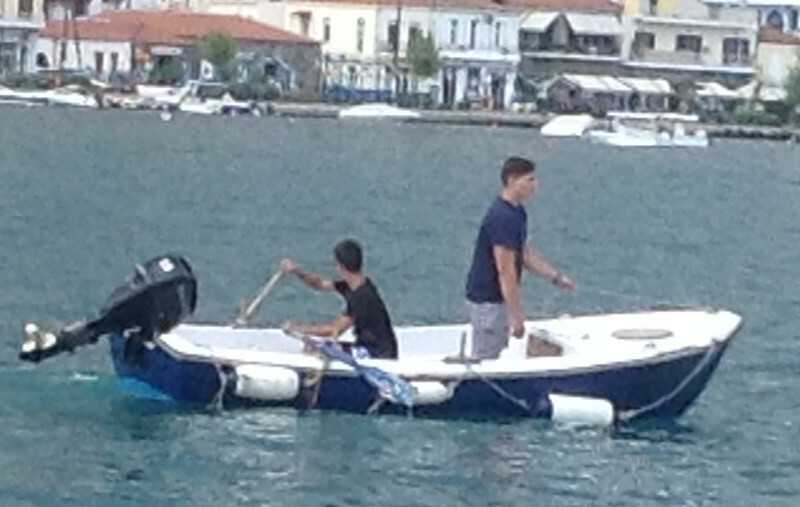 He and his buddies love to hang around with their bikes or mess about in dinghies, just like young teenage boys should, it’s lovely to see. Recently Salty Dog had a fab crew of four with whom we were invited to have dinner, such lovely people and later is was great fun introducing one of the gorgeous gals to my favourite scarf lady for a spot of shopping….and some embarrassing bargaining! We have had several visitors these past few weeks and busily hopped up, down and across the Argolic, only getting caught in a ferocious gale once! Watching our grandchildren endlessly throw themselves off various parts of the boat into warm seas and seeing even the 15 month old babes laughing and splashing in their inflatable ring-seat-things has been a joy as is babysitting for aforementioned children so our kids can enjoy their favourite moussaka, stuffed veg and calamari while we take peaceful breaks in the cockpit or, more recently on a blissfully stable terrace. These past 6 weeks will have to be remembered more through photos than posts as they have been greedily consumed as a delicious pie of familiar ingredients well spiced with surprises and accompa nied by hefty lashings of Meltemi wind. Suddenly the dish is empty and September is calling us to slow down. As more memories surface I’ll write them down.